Depending on your electricity tariff, a 150,000-kWh reduction could equate to as much as $22,500 saved per annum! Depending on your profit margin, a $22,500 energy saving is equivalent to as much as $450,000 in sales per annum! Why SEDAC BEMS with RDM Controls? Open System Adaptability – Ability to use existing equipment without being forced to switch or upgrade to a new system. One Size Fits All – Solutions and features can be implemented at any site irrespective of project scope or size. User Friendliness – Simple to use and transparent, giving our customers complete control of their sites assets. C urrently, many businesses consider spending their energy efficiency budget on upgrading existing capital plant and equipment to more efficient assets. This investment can be a great move, but it is important to first consider getting the assets currently on site running as efficiently as possible. If assets are not at the end of their life cycle, there is generally ways to improve control and optimise their performance to reduce consumption. Businesses can potentially benefit MORE by optimising their existing plant and equipment assets to get the most out of what they have before investing in large capital upgrades. Asset control and system optimisation for energy efficiency is far less expensive than purchasing new assets and usually can decrease overall building energy consumption by up to 25% with a less than three-year payback. Once a site is optimised, businesses are able to get a more accurate return on investment when looking at energy efficiency technologies or new building assets. For example, businesses that optimise their sites prior to investing in solar are able to purchase smaller solar systems since they cut out wasteful excess consumption. When businesses get what they have working as efficiently as possible, it provides a great electricity consumption benchmark when considering upgrades and enables a true comparison for their potential investment. To put it another way, installing LED lighting to a sales area which consumes 25% of the site’s overall energy consumption will cut your lighting consumption in half and save 12% of your site’s energy use. Controlling the existing lighting and HVAC systems more efficiently is a far less expensive option but offers a similar reduction in overall site consumption. So, site optimisation offers a much faster payback period. Identifying the highest consuming areas within a site and optimising their control ensures that when upgrading to more efficient technologies the site will already have a control system to operate the new equipment at its most efficient which provides a faster return on investment. SEDAC Energy Management has a range of energy efficiency products, solutions, and services. Rather than focusing on pushing one particular product, we always recommend that businesses get their sites working as efficiently as possible with what they already have. Stage two is to then look at evaluating the larger energy efficiency investments and their paybacks based on the new energy consumption baseline. With head controllers and sensors easy to remove and move to a new site if the business changes location, building controllers are a great energy efficiency investment for leased sites. Results, Results, Results! New Case Studies are Online! Ever wondered how to save money with energy efficiency? Our case studies show you how different businesses in Australia are doing just that. Real businesses, real costs, and real return on investment figures for you to learn from. Best Friends Pet Supplies has joined the ranks of great businesses implementing great energy efficiency solutions for their stores. Read about how they are seeing 28% savings on their electricity with a $20,000 solution that will pay back in 10 months!The energy efficiency case study is here! IGA Supermarkets continue to see fantastic energy savings with SEDAC Energy Management energy efficiency solutions. Clunes IGA saw $500 off their most recent electricity bill after SEDAC EM implemented a set of solutions for their store in early June. Read the full case study here. we have included it again! Making Money with Energy Efficiency shows how Energy Smart Financing can be used to make your energy efficiency investment one that puts cash in your till right away. Read the case study here if you are interested in how financing can be used to make an energy efficiency solution cash flow positive from the beginning. Electricity Savings of over $100 a DAY! Ron and Carolyn Chambers, the owners of Pink Lake IGA and Esperance Supa IGA, wanted to implement energy efficiency solutions in their two stores. They did not want to wait for the two year payback period to be over to see the energy efficiency savings added to their bottom line. So they used Energy Smart Financing to fund their SEDAC Energy Management solutions. Now they are saving 25% and making money off their energy efficiency investment! The full case study is found here. SEDAC EM LED High Bays Now Approved for NSW ESS Scheme! More and more businesses are making both facility maintenance providers and sustainability teams responsible for their buildings’ energy efficiency. Recognizing the role that facility maintenance plays in achieving and sustaining energy efficiency is important for all businesses. Currently, many facility maintenance providers are mainly responsible for ensuring that all building assets are operating. However, as more businesses become more energy aware, they have begun to require facility maintenance teams to not just keep assets operating but ensure the assets are operating efficiently. To ensure assets are working efficiently businesses need visibility to their consumption and control of their assets. Recently, new products have hit the market, such as the SEDAC BEMS, that combine the functions of a flexible building management system with the intelligence of an energy monitoring system. This system allows facility maintenance providers to not only see if an asset is operating but how efficiently they can make it operate by optimising settings and viewing the energy behavior versus performance data. Visibility to assets offers great advantages to facility maintenance teams. Visibility assists with preventative maintenance and instills confidence in businesses that their sites are kept operational and efficient. The SEDAC BEMS can be calibrated to suit facility maintenance needs with notifications sent to technicians of changes in asset performance. Technicians can then correct the issue remotely or use the system on site for a quick rectification. Facility maintenance and energy efficiency go hand in hand. If you want to learn more about what energy efficiency solutions can be incorporated into your facility maintenance program, contact us today! Energy Efficiency Continues To Pay Off! Energy Efficiency Pays Off For Years and Years!!! If you’ve ever wondered if these sites maintain the savings, we have updates on three previous sites to show you the savings. We also have a new case study up on our website. 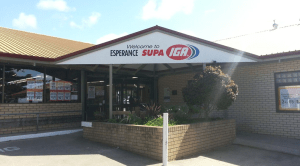 SEDAC EM recently completed energy efficiency works at Michael’s Supa IGA in Leongatha, Victoria. The site is seeing 12% energy savings and expecting a less than 2 year payback. You can read The Michael’s Supa IGA Energy Efficiency Case Study on our website. The pdf version can be seen here. With April 2014 electricity bills in, The Good Guys has confirmed the site has saved $28,000 in budgeted electricity costs in the six months since we completed the energy efficiency upgrade in November 2013. By the end of this month May 2014, the project will have already paid back completely for a ROI of 7 months. Here is the metering data showing continued savings. The red line shows expected consumption based on historical site performance and weather conditions. The blue shows daily consumption since the project was completed. The savings achieved are the difference between the red line and the blue bars. The yellow shows daily consumption before we completed the energy efficiency works. Click on the image for a closer look! 506,503 kWh saved since project implementation. Project cost $72,000, so the project has already paid off completely in less than 2 years! 50149,061 kWh saved since project implementation. Project cost $15,000, so the project has already paid off completely in less than 18 months! Here is the metering data showing continued savings. The red line shows expected consumption based on historical site performance and weather conditions. The blue shows daily consumption since the project was completed. The savings achieved are the difference between the red line and the blue bars.The yellow shows daily consumption before we completed the energy efficiency works. Click on the image for a closer look! In April the market rate for Victorian Energy Efficiency Certificates softened with a price of $17.50 per certificate, down from $18 spot price close in March. ESC from NSW continued to fall to current price of $10, down from $12 in March (1). While the carbon tax repeal has been expected to pass the Senate in July, Clive Palmer has now threatened to block the repeal. Palmer does not want funding to go to direct action on climate change which includes direct payments to businesses and plans to block the measure even if included in the budget package (2). Overseas, Britain is planning to freeze the tax on carbon emissions from electricity generation at 18 pounds a ton of carbon in April 2016 to cut consumer costs (3). China has announced a war on its pollution and is considering a carbon tax (4). However, opportunities to reduce energy use at home are growing with the increasing affordability of LED lighting, solar, home building management systems and more. The improved affordability of these items also benefit businesses. For example, SEDAC EM’s own building energy management system costs much less than some traditional control systems on the market but has a much wider range of functionality at lower costs. To tackle rising energy costs, businesses need to implement an energy efficiency program that begins with system control and then includes capital upgrades to more energy efficient technologies as needed. SEDAC Energy Management in Retail World’s November issue! SEDAC Energy Management is being featured in Retail World’s November issue in their section on Sustainability. Metcash’s Sustainability@Retail program is the focus of the article, and they have an impressive record of working to become more sustainable. The article discusses SEDAC Energy Management’s role as Metcash’s Sustainability Partner, and what we have helped them achieve. We remind readers there are no “no-cost” solutions but offer a helpful list of low cost solutions that business owners can use to lower their energy use.